I’ve been doing free trading videos here for a long time, but they’ve all been in screencast style as I narrate what’s on my charts and share insights with you. Those will continue, because certain things in trading must be illustrated in that manner in order to show you what I’m telling you. It’s time to put a little different spin on things and I felt that through some on camera face time, I’d be able to connect with you a little better and deliver some ideas and concepts that you absolutely MUST have as a trader. So today, I bring you something I’ve been excited about lately but haven’t previously revealed with this new video series. 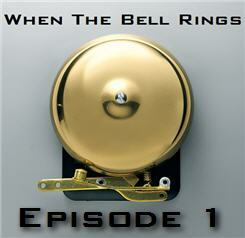 I’m calling it When The Bell Rings, and here in Episode 1 I’ll explain why. Subsequent episodes will of course build on what’s delivered here, so by all means stay tuned and share your feedback if you’re finding these helpful.